As for Tibetan translation in general, I find Tibetan to chinese translation is better in term of accuracy. This is because Tibetan buddhist terminology share a common standard with chinese buddhist terminology, so tibetan translators has little choice in term of chinese words other than the standard terminology of buddhism that were used on both sides. That looks like an interesting book, I'll borrow it once my local library has it available. However it seems like her opinions there are a bit extreme -- Xuanzang recognised that the early translations were flawed for one and his translations attempted to overcome the use of the old terminology for one. I've also been thinking about this a little though, and maybe some features of Chinese grammar itself don't make it very good to convey certain concepts particularly things like plurality and time. Sherlock wrote: That looks like an interesting book, I'll borrow it once my local library has it available. It is a terribly interesting book. Buy it, it's something worth reading several times. Or wait until it appears in a free pdf somewhere but in any case, it's really something to read or put on your must-have/read list. It's his opinions, Jungnok was a male. -- Xuanzang recognised that the early translations were flawed for one and his translations attempted to overcome the use of the old terminology for one. I've also been thinking about this a little though, and maybe some features of Chinese grammar itself don't make it very good to convey certain concepts particularly things like plurality and time. How Buddhism Acquired a Soul on the Way to China tells the story of the spread of Buddhist religious thinking and practice from India to China and how, along the way, a religion was changed. While Indian Buddhists had constructed their ideas of self by means of empiricism, anti-Brahmanism and analytic reasoning, Chinese Buddhists did so by means of non-analytic insights, utilising pre-established epistemology and cosmogony. Furthermore, many specific Buddhist ideas were transformed when exchanged from an Indian to a Chinese context, often through the work of translators concept-matching Buddhist and Daoist terms. One of the key changes was the Chinese reinterpretation of the concept of shen - originally an agent of thought which died with the body - into an eternal essence of human spirit, a soul. Though the notion of an imperishable soul was later disputed by Chinese Buddhist scholars the idea of a permanent agent of perception flourished in China. This historical analysis of the concept of self as it developed between Indian and Chinese Buddhism will be of interest to readers of Buddhist Philosophy as well as the History of Ideas. Why did some Buddhist translators in China interpolate terms designating an agent which did not appear in the original texts? The Chinese made use of raw material imported from India; however, they added some “seasonings” peculiar to China and developed their own “recipes” about how to construct the ideas of Buddhism. While Indian Buddhists constructed their ideas of self by means of empiricism, anti-Brahmanism and analytic reasoning, the Chinese Buddhists constructed their ideas of self by means of non-analytic insights, utilising pre-established epistemology and cosmogony. Furthermore, many of the basic renderings had specific implications that were peculiar to China. For example, while shen in philosophical Daoism originally signified an agent of thought, which disintegrates after bodily death, Buddhists added to it the property of permanent existence. Since many Buddhists in China read the reinterpreted term shen with the implications of the established epistemology and cosmogony, they came to develop their own ideas of self. After the late 6C, highly educated Buddhist theorists came to avoid including the idea of an imperishable soul in their doctrinal system. However, the idea of a permanent agent of perception remained vividly alive even during the development of Chinese Buddhism after the 7C. Nonsense. Classical Chinese was a suitable medium for translating Buddhist texts. Some translation teams in the early years were not always proficient, but that does not mean you can generalize and say that Chinese "is not really fitting for translating the subtleties of Sanskrit". In the early years it was not even Sanskrit being translated, but languages like Gāndhārī. This is baseless nonsense. The Chinese language conveyed Buddhist ideas quite well. Moreover, the whole purpose of the Buddhist project was not to replicate Nalanda University scholarship in other countries, but to plant the seeds of dharma in new countries where it might flourish in new and adapted forms. In the case of China schools like Tiantai, Huayan or Chan reflect this. If you are looking for purity when it comes to translations from Sanskrit, then of course literal translations will be difficult to render comprehensibly into Chinese (Xuanzang tried and his translations into Chinese are often unreadable because they try to reflect the Sanskrit so closely). Moreover, Buddhism should not cater to Sanskrit. The original scriptures were translated from Middle Indic into Sanskrit several centuries into the development of Buddhism. Gāndhārī based Buddhism thrived in the north west for centuries before converting to Sanskrit for political purposes. mutsuk wrote: Furthermore, many specific Buddhist ideas were transformed when exchanged from an Indian to a Chinese context, often through the work of translators concept-matching Buddhist and Daoist terms. By how many people and who? "Concept matching" (geyi 格義) was not a translation method, but an exegetical method. It was not as common as modern scholars have thought it was. Moreover in the fifth century we see Kumārajīva criticizing such an approach to reading Buddhist texts. The other issue here is that Daoism only came to exist as a religion that people self-identified with in the fifth century, so it is anachronistic to suggest Buddhists were matching Buddhist ideas with Daoist ones. What they were really trying to do was to find common ideas and vocabulary in their philosophical lexicon. This is basic knowledge in buddhological studies that chinese "renderings" are not faithful either to the spirit nor to the actual text that was being translated. Read Jungnok Park's book, it's pretty highlighting those issues. Also, compare the Avatamsaka in both chinese and tibetan and you'll certainly have a surprise. mutsuk wrote: This is basic knowledge in buddhological studies that chinese "renderings" are not faithful either to the spirit nor to the actual text that was being translated. Read Jungnok Park's book, it's pretty highlighting those issues. Also, compare the Avatamsaka in both chinese and tibetan and you'll certainly have a surprise. This is a gross generalization and as someone actually in Buddhological studies and who translates classical Chinese texts I think your ideas are misleading. Yes, some translators were not always so skilled at their art, but that does not render the entire Chinese canon unfaithful to Indic Buddhism. Stop and consider that the Tibetan source text might have been different from what the Chinese translation teams used. Tibetan texts are not necessarily superior to Chinese translations. The texts and scholars they made use of in Tibet are often from a different time period and culture altogether (Central Asian scholars versus panditas from universities like Nalanda). Scholars used to think Kumārajīva (344–413) was being unfaithful in his translations because they compared them against extant Sanskrit versions found in Nepal in the 19th century. Some even thought he was being some kind of dishonest revisionist, but it turns out if you compare his translations to older Sanskrit manuscripts he was actually being a faithful translator. Huseng wrote: Tibetan texts are not necessarily superior to Chinese translations. Well if you really are in the buddhological world, you should be honest and recognized that your statement is wrong. Tibetan translations are by far superior to anything that was translated into Chinese, Gandhari or else. Comparisons show that this is actually the case. And please read Jungnok Park's book, it's replete with examples which show deviations which are simply due to lack of ability from the chinese language to convey highly subtle conceptions or to the use of improper lexicon. Again, you are misleading. My area of the Buddhological world has no such consensus as you propose exists. And you have the bullocks to say Tibetan translations are better than Gāndhārī ones? Do you even know anything about Gāndhārī? Can you read it? Gāndhārī texts are older than Sanskrit texts! Tibetan translations are almost all translations of texts that postdate whatever Chinese had been translating. For example, Buddhabhadra translating the Avatamsaka in the fifth century. It was several centuries later that the Tibetans translated it. What original version did they use? Was it the same as Buddhabhadra's? Unlikely. In any case, many of the famous translators like Kumārajīva aimed for comprehensibility over literal translations. If you want to spread Buddhadharma it should be about conveying the meaning, not the precise semantics of Panini Sanskrit. Huseng wrote: Again, you are misleading. My area of the Buddhological world has no such consensus as you propose exists. Then go to the College de France where buddhologists have been doing conferences for ages and check with sanskritists what their opinion of chinese translations is. I don't have bullocks dickhead, stay polite. It's not because you're a mod that you can allow yourself to use rough language. This does a big disservice to your message. to say Tibetan translations are better than Gāndhārī ones? Do you even know anything about Gāndhārī? yes I do. Again the self-reflective feeling of your importance (cuz you're a male?) is blinding you. I followed a couple of courses at the College de France but despite that I can't read it at all. I'm convinced you even can't read tibetan...so your opinion about tibetan translation is not really highlighting anything. This does not change anything to their superior quality, respect of the spirit and the form. Sure, especially if you want your translations have the same imprecise character as that of chinese translations. If you want to spread Buddhadharma, it should about be conveying both the meaning and the form... You seem to feel threatened as if you were defending a field that has invalid translations which just display a over-sinization of everything? Am I wrong? I hope so. They are generally superior, even from a diachronic perspective that includes textual evolution. Yes, more accurate. It is an accurate conceit that nevertheless Sino-Japanese scholars find annoying. But anyone who learns Tibetan and can compare with the Chinese will readily allow that there are advantages to Tibetan translations absent in Chinese translations where an original text cannot be recovered for comparison. College de France does not hold a monopoly on Buddhology. Also, as I said above, not all Chinese translations were translations of Sanskrit, so you cannot compare them against Sanskrit texts. Moreover, many of the original texts which translators in China used are no longer extant. The basis for comparisons modern scholars use are often Sanskrit manuscripts found in Nepal, which postdate by many centuries anything the Chinese possessed (the Chinese never maintained a tradition of studying Indic languages, so most Indic manuscripts were not preserved). In any case, I've compared Sanskrit texts against Classical Chinese translations like the Abhidharma-kośa done by Paramārtha and Xuanzang. I do not see them as being unable to convey the original meanings of the Sanskrit text. They do it quite well actually, though apparently Xuanzang had issues with Paramartha's translation. Tibetan translations are by far superior to anything that was translated into Chinese, Gandhari or else. No, it isn't because I am male, it is because you are making gross generalizations and I feel obliged to confront you on them. I've studied Tibetan and looked at the history of how they crafted language suitable for translations, though I don't read it. My issues are more with your gross generalizations of the Chinese language, which strike me as oldschool orientalist. Sure, especially if you want your translations have the same imprecise character as that of chinese translations. Very literal translations that focus on reproducing the fine semantics of the source language end up unreadable with only specialists giving them high appraisals while general readers are left in the dark. If you want to spread Buddhadharma, it should about be conveying both the meaning and the form... You seem to feel threatened as if you were defending a field that has invalid translations which just display a over-sinization of everything? Am I wrong? I hope so. No, my issue is with your gross generalizations of a Chinese Buddhist canon which formed over a millennium. Some translators like Xuanzang studied at Nalanda, and spoke, read and wrote fluent Sanskrit, and then tried overly hard at times to reproduce the finer points of Sanskrit grammatical functions into his Chinese translations, which resulted in unreadable work. Yes, some translators made critical mistakes (Jan Nattier in her research points this out), but that does not render the whole canon inferior to what Tibetans later produced. The Chinese language is able to convey Dharma just as well as any other language. To say it doesn't just brings to mind those old orientalist notions that the Chinese language would have been incapable of producing a scientific revolution. Nonsense. That depends on the readership. For native Chinese readers the Chinese translations generally conveyed the meaning of the original text. Perhaps as a modern western scholar with knowledge of Sanskrit the Tibetan will be easier to read because it attempts to reproduce the Sanskrit in a more standardized way than the Chinese ever did, though the whole point of translation is to ensure that readers in the target language can understand with minimal frustration the meaning of the source text. 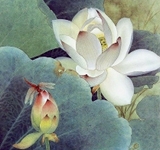 Huseng wrote: For native Chinese readers the Chinese translations generally conveyed the meaning of the original text. Maybe, I think the thrust of the point is that they were not successful in this project, and therefore, Chinese Buddhism evolved along lines dissimilar to contemporary Indian Buddhism during the same period. It is hard for you to tell, since you have been educated into Buddhism via western Buddhological hermeneutical criteria and you read Chinese Buddhist material through the lense of an understanding heavily modified through a century of comparison of Chinese texts with Sanskrit and Tibetan. Nevertheless, I also think Mutsuk is overstating the point, since there are a number of commentaries and small number of sutras that passed through Chinese on their way to Tibetan which are regarded as important. Huseng wrote: College de France does not hold a monopoly on Buddhology. Maybe not for you but it hosts the best visiting scholars in the field. So I guess the CdeF is indeed a more than pretty good reference on Buddhology. Sanskrit or whatever, it does not change the fact that the chinese "method" was not that of translations but adaptations to the chinese mind. It's no wonder one cannot re-construct an original from the chinese, in particular because of their so-called editorial committees. Please read Jungnok's book, this will enlighten your week-end. Moreover, many of the original texts which translators in China used are no longer extant. This is not the problem. The problem is the method used in order to sinicize materials. THis is also the reason why, when one reads an original indian text (no matter its language) and its chinese translation one has the feeling of reading two different texts. This is not the case with tibetan translations though. The basis for comparisons modern scholars use are often Sanskrit manuscripts found in Nepal, which postdate by many centuries anything the Chinese possessed (the Chinese never maintained a tradition of studying Indic languages, so most Indic manuscripts were not preserved). This is not the case as you would know if you had attended the past ten years courses at CdeF. And this does not change anything: if you look at probable original candidates for chinese translations, these are simply "renderings" not translations faithful to the letter and the spirit. The chinese language is responsible of that, not to mention the methods of translations which are pretty weird to say the least. The best you can say is that these are "adaptations". My point was that any language translated into chinese by the methods used by chinese translators will end up in something that is different from the original, be it in gandhari, sanskrit, papou, eskimo, whatever. As far as dharma is concerned Tibetan translations are by far more reliable. it is because you are making gross generalizations and I feel obliged to confront you on them. You don't confront anybody here, you just show you have bias because you feel threatened in your field. You should learn tibetan and compare translations, see which is conveying the message in its form and spirit without conditioning them to cultural limitations. Then you should improve your knowledge of the theory of translation and deepen your access to tibetan translations, you'll see the difference. My issues are more with your patriotic defense of a language which most buddhologists recognized as deficient and inadequate for carrying the subtleties of buddhist thought. Your belief in the reliability of chinese translation is not a gross generalization, it's a ridicule one. it's not a question of literal translations, it's a question of respecting the message and the words in which it was conveyed. Both these requirements are deficient in chinese translations of buddhist texts. No, my issue is with your gross generalizations of a Chinese Buddhist canon which formed over a millennium. It may have been formed as early or as late as you want. This is not the point. The point is that the chinese language lacks subtleties for carrying the teachings. THe method of translations are also more than arguable. Yes, some translators made critical mistakes (Jan Nattier in her research points this out), but that does not render the whole canon inferior to what Tibetans later produced. It definitely does when you take into account how the chinese translations were done. The Chinese language is able to convey Dharma just as well as any other language. Malcolm wrote: Maybe, I think the thrust of the point is that they were not successful in this project, and therefore, Chinese Buddhism evolved along lines dissimilar to contemporary Indian Buddhism during the same period. Chinese Buddhism is only partially based on the textual traditions it inherited from various regions (a lot of material came from Central Asia and Persian regions in the early centuries). The reason it evolved along lines dissimilar to contemporary Indian Buddhism probably has less to do with the textual matters and more to do with real life experience. For example Tiantai was focused on the Lotus Sutra (which is atypical in Indian Buddhism anyway), but much of the lineage initially really came from Zhiyi's own experience as a yogi and his own life experience, not exegesis of said sutra. This is the real reason for Chinese Buddhism going its own direction: life and cultural experiences. From philosophy to practice to Vinaya, they came up with their own developments and it worked well for them, producing their own enlightened masters and eminent yogis. In any case after a few centuries of maturation and digestion Chinese Buddhists had their own native lineages and so on, so whatever was happening in India was largely irrelevant to most Buddhists (much to Xuanzang and Yijing's frustration after they returned home from India to find not many people really took an interest in their appreciation for all things Indian). It would also be problematic to suggest that a Buddhist tradition in any case is predominately text-based because in the real world Buddhism as institutions and spiritual traditions are largely oral traditions with large written canons in tow. In ivory tower monastic colleges maybe it is text based, but not in the real world where dharma is transmitted through living people, the teachings of which often deviate from what canonical sources say.